a/ The 2011 payable enterprise income tax amounts calculated on incomes from production or processing of agricultural-forest-fishery products, textile and garment, leather and footwear and electronic components. 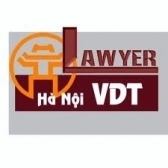 Activities of production or processing of agricultural-forest-fishery products, textile and garment, leather and footwear and electronic components specified in this Clause are based on the economic sector system of Vietnam promulgated together with the Prime Minister’s Decision No. 10/2007/QDTTg of January 23, 2007.
b/ The 2011 payable enterprise income tax amounts calculated on incomes from construction and installation of water or power plants, power transmission and distribution works, water supply and drainage systems, roads, railways, airports, seaports, river ports, airfields, stations, car terminals, schools, hospitals, cultural houses, cinemas, art-performing establishments, sports facilities, wastewater and solid waste treatment works, information and communication works and irrigation works for agriculture, forestry and fisheries.